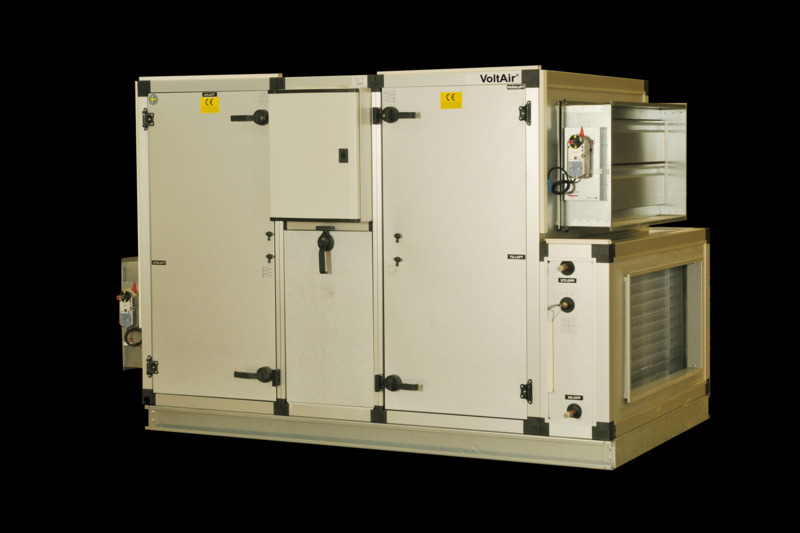 Just as the name implies, ZPAZE-r is a series of unitary airhandling units of modest physical size. The compact design makes the units easy to handle and position during installation. What's more, these units are easily split into modules to further simplify transport. Despite its modest size, ZPAZE-r delivers high performance in terms of high thermal recovery and low energy usage, all enabled by highly efficient rotary heat exchangers and fan motors equipped with EC technology. With integrated controllers as standard, the ZPAZE-r series is a turnkey solution that is both cost and energy efficient. These units can be delivered prefabricated or in modular form. The compact size makes them particularly well suited to renovation projects. The panels are easily removed and the duct connections can be switched between gable and vertical applications even after installation. With its rotary heat exchanger, ZPAZE-r suits most building types where the unit is to supply areas used for similar operations. As standard, ZPAZE-r is designed for indoor installation in a technical room, but can also be supplied for outdoor installation. Relevant documentation for the ZPAZE-r series can be found here.